Oysters, you either love them or hate them, there is no in-between, but we believe our Crunchy Deep Fried Oysters with Cocktail Sauce will coax you into the lovers’ camp. Now we’re not going to kid you and say that our fried oysters taste like fried chicken –they don’t. We believe they taste even better. For this recipe, you will need: fresh select oysters, egg, club soda, flour, black pepper, garlic powder, cayenne pepper, panko breadcrumbs, Italian seasoning, ketchup, cocktail sauce, fresh lemon juice, Worcestershire sauce, hot sauce. Each oyster is a tasty briny morsel that is panko-coated and deep fried into a delicious crusty bite. You can pop them in your mouth as is or dunk them, like we do, in our tangy, spicy cocktail sauce. 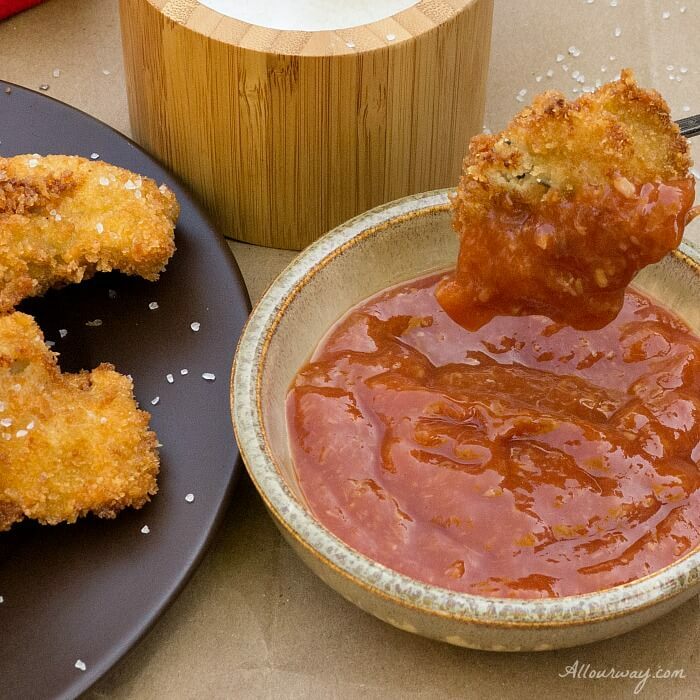 They are an elegant appetizer, or they can be a crunchy treat at a Super Bowl Sunday party. Set them out on an appetizer tray and they are gone!! Did you know there are oyster connoisseurs? I didn’t either. I knew there were serious wine connoisseurs but I thought an oyster was an oyster. I’d better not say anything like that to anyone who takes their oysters seriously. They will most certainly start lecturing me on sweetness, meatiness, metallic, salinity, iodine and even copper. What? Copper? Does copper have a taste? I’m confused enough with what wine connoisseurs find in a sip of wine. Apparently, these little guys take on the “flavor” of the water they live in. They are amazing creatures. Our Gulf oysters are completely wild making the incredible journey from egg to adult an almost one-in-a-million journey. They grow in their armored shell fortresses with their luxurious smooth, pearl-like surfaces as their living space until they are harvested with tongs. My Father-in-law loved his oysters in a creamy stew and some people like an oyster dressing at Thanksgiving. As an elegant appetizer for a special occasion. Usually, we eat our oysters on saltine crackers with fresh lemon, hot sauce, and horseradish. We had some oysters left over, so the next day we decided to coat them in panko crumbs and make deep fried oysters. Oh, my!! They were so delicious we just had to share this recipe. Crunchy Deep Fried Oysters with Cocktail Sauce is an easy recipe to make and this recipe is perfect as an appetizer or even for an Oyster Po’Boy filling. If you’ve been a bit timid about trying oysters raw or roasted, try them as fried oysters you won’t be disappointed. CRUSTY DEEP FRIED OYSTERS ARE PANK0-COATED MORSELS THAT ARE DEEP FRIED INTO A DELICIOUS CRUSTY BITE AND SERVED WITH A TANGY SPICY COCKTAIL SAUCE. 1. Line colander with two layers of paper towels. Rinse oyster, drain and put in the colander patting to dry. 2. EGG DIP: In a small bowl, add egg and club soda. 3. FLOUR COATING: Put all ingredients in a small plastic bag and shake to mix well. 4. PANKO COATING: In a small bowl, add ingredients and mix well. 1. Dip 2 to 3 oysters in egg wash, letting any excess drain off. 2. Place the oysters in flour coating, shaking to completely coat oysters. Remove from flour mixture. 3. Dip the oysters again in the egg wash and let excess drain off. 4. Place the egged oysters in the panko coating bowl. Roll them over making sure they are completely coated with the panko crumbs. With tongs, gently remove them from the breadcrumbs and place them in a single layer on a wire rack over a baking tray. 5. Repeat steps 1-4 until all the oysters are breaded. 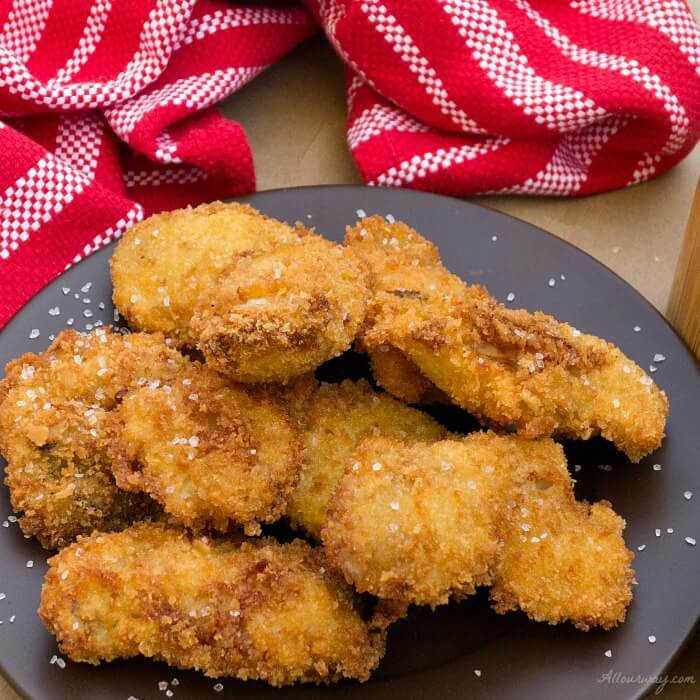 Lightly cover the breaded oysters with plastic wrap and refrigerate at least 2 hours or more. The breading can be done up to 8 hours ahead. While oysters are in the fridge make the classic cocktail sauce. 1. Heat frying oil in fryer or a deep pan to 375 F. Using tongs, gently remove oysters from wire rach and gently slip them into the hot oil. Fry the oysters in small batches (6) to keep from lowering the temperature of the oil. 2. Fry about 2 minutes or until golden brown on one side, turn and brown the other side (about 1-2 minutes). 3. Remove from oil and drain on paper towels. Be sure the oil is heated to 375 f. beroe continuing with additional batches. 4. Serve immediately with cocktail sauce. 1. Combine all of the sauce ingredients together. 2. Taste and season with more pepper if you like. Cover the bowl with plastic wrap and chill until ready to serve. Note: Recipes and content from © 2014- 2018 All Our Way are copyright protected. Please do not use content or recipe without prior written permission. If you want to share the information, please link to this post. Grazie. hello Marissa I am Claudia from Whats cookin Italian .. I love meeting you on all the Share boards because I love how you cook and all your recipes just wanted to say hi! I have never had oysters this recipe has inspired me! Ciao, Claudia! I’m pleased to meet you. I have seen you in the Share groups. I”m glad you joined. They are great groups. You’ve got to try the fried oysters — they’re delicious. A dopo!! I don’t get Oysters in Israel.. well actually we don’t get anything in shells. And If I do they are frozen and expensive. I do buy but have to cook them with a recipe that does justice to frozen. I use to eat Oysters often when I was in Singapore and love it too! yum ! 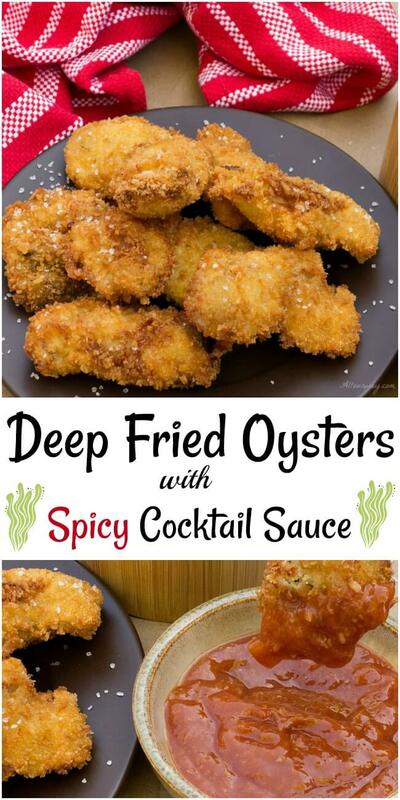 Deep fried is the only way I like my oysters, I don’t care for them fresh. Weird huh? These look so delicious. Love the cocktail sauce recipe. Definitely a keeper. I has only been in the last year that I have actually tried oysters. Like raw oysters out of the shell. I will not say I LOVE them….I will not say I HATE them….I will say I can take or leave them. NOW….if you put a plate of deep fried oysters in front of me….I know I would LOVE LOVE LOVE them. I’m not the hugest oyster fan, but I definitely don’t mind eating them every so often. When we were in New Orleans I tried fried oysters for the first time and immediately fell in love. They’re the best! Hi John! They do say that New Orleans is an eating adventure — I’ve never been there but I’d love to see it. Did you have a favorite dish? Marisssa! That photo of your raw oysters is SO BEAUTIFUL! I don’t even eat seafood and I think that is one of the best photos I have ever seen! I’m not even kidding! Thanks for the recipe! I’ll share with my daughter and husband who LOVE seafood! These look fantastic! I love oysters, but I hardly ever get them, being landlocked and all. Pinning! Oh those look so good. I just took an oyster class a few weeks ago, learning all about the differences. I finally looked to shuck without killing myself and each oyster was so different. I like oysters any way you make them and these would do nicely. I would have loved taking the class. And I certainly didn’t realize oysters came in “flavors”. I’d love to go to a sampling, wouldn’t you? The fried are delicious!! You know…I’m not the hugest fan of oysters but you may have converted me! These look and sound perfect!! Oh geez. How can you do this to me? 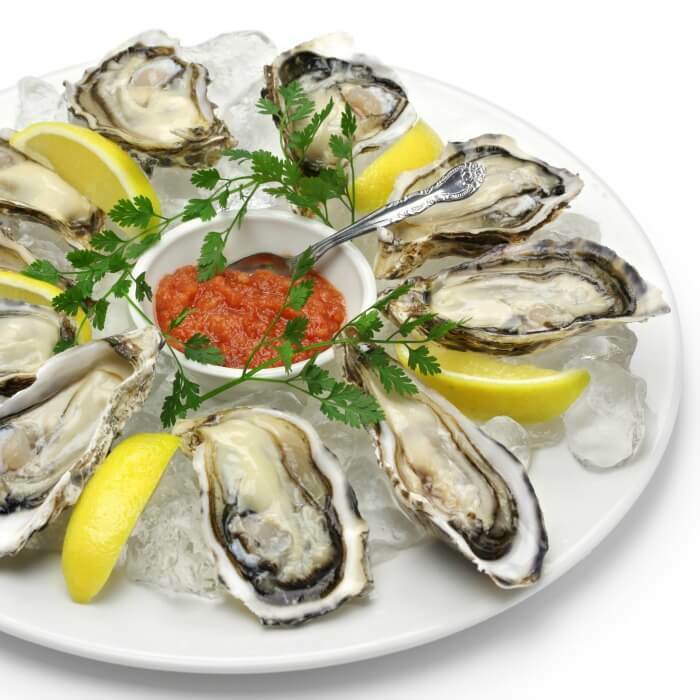 I LOVE oysters – raw or fried, and your fried ones look so crunchy and appetizing. Your photos are sensational, down to the grains of salt!! Yes, there really are significant differences in different oysters from different places but when I order a variety – from the Pacific or from Long Island, I promptly forget which ones were my favorite. I’ll have to start taking notes. Hi Linda!! Thank you! I know about taking notes — a cheat cheat like they do for wine so we know what to look for. Next time we order oysters I’ll have to ask where they’re from and take notes. Perhaps we can compare notes?? My husband love Oysters I will have to make them for him, they look and sound amazing. Great recipe Marisa. These oysters look super yummy! Want me to bring some over?? Do you have oyster lovers in your house? I would love to share. Have a great weekend! Grazie Chiara. Erano deliziosi. Un abbraccio e un buon fine settimana. Hi Elaina! We’re from the midwest too. Luckily there is a company that flies in fresh — seafood from the Gulf. Otherwise we wouldn’t be eating the oysters or our Gulf shrimp. I certainly understand why you’d be picky if you had a bad seafood experience. I shutter to think. 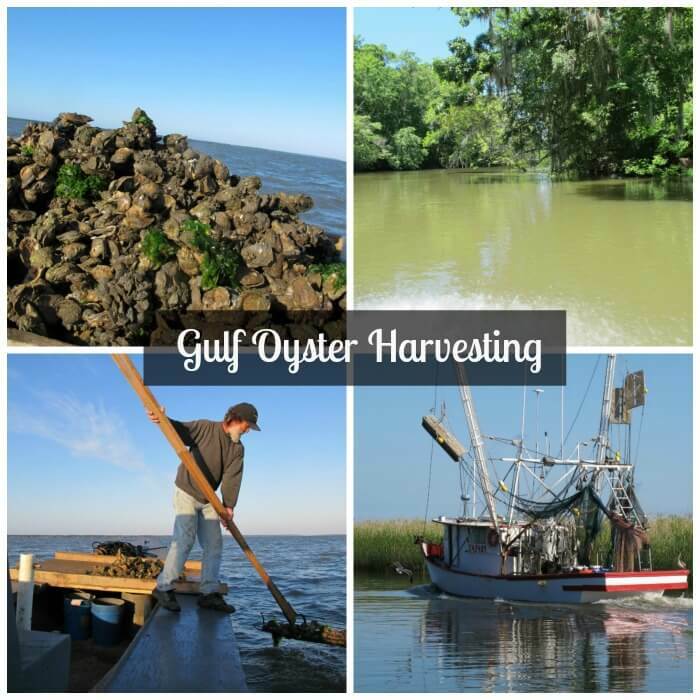 If you have the chance to get your fresh oysters I know you’ll like the recipe. They look gorgeous but I am not a fan of oysters. I think I would use your recipe for shrimp. I love the sauce. Hi Jovina! The coating is delicious and it will work great on shrimp and the cocktail sauce is super yummy! Every time I try to pan deep fry anything .. I burn myself. Haha. These sound AMAZING.. I love oysters!! Maybe I’ll have the husband try to make it. I’m too clumsy for the likes of fried food. Or I’ll eat them raw with horseradish- that sounds delicious too!! Good idea Sarah! Let hubby do it and I’m sure he’ll volunteer do fry them. We couldn’t stop eating them — good thing we didn’t make a whole pint. I tried oysters for the first time this year and they were so good, but deep fried oysters?! Sounds like a delicious revelation! Thanks for the recipe! Hi Whitney! If you like regular oysters the fried are heavenly! 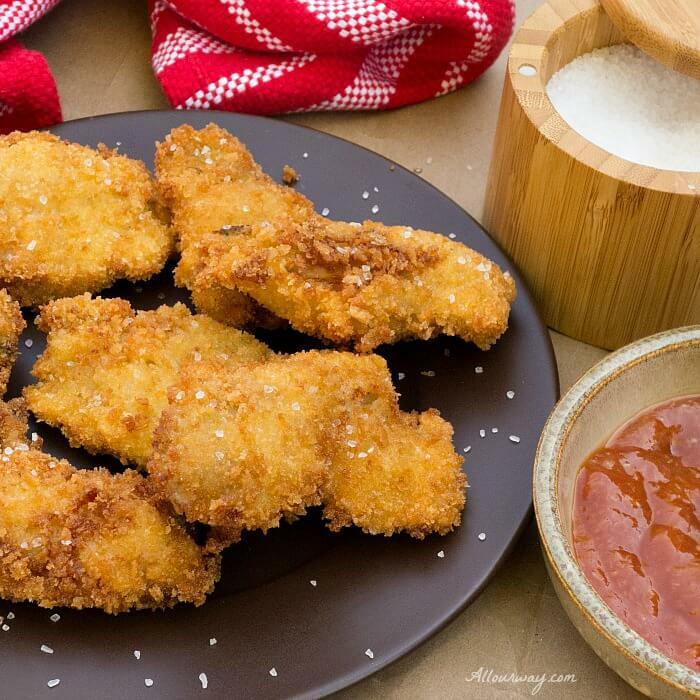 Its been a while since I’ve enjoyed fried oysters… This is a must do recipe..
Hi Ross! You’re welcome — do try the recipe we like that extra crunch. Yum….I love oysters and eat them when I visit my folks at the beach. I will save this recipe for when I’m there because fresh oysters harvested day of are just delicious. Your recipe looks wonderful. Thank you Ali!! They are so good and I’m sure your folks will enjoy them too.